Trails conditions – Wow! Can this really be it? The last “official” weekend of snowmobiling! You know how I know it’s record breaking, I updated the Long Lake Snowmobile Trail Condition page 130 times this season! That’s definitely a record. What an amazing season we’ve had. Truly record breaking with great snowfall, open trails, and big crowds coming out to support our local businesses. Thanks to our entire Parks & Recreation Staff and grooming team. Chad, Erik, Michael, Ron and Wayne and Rusty and the gang at Beaver River- riding in our groomers and on our sleds. Shout out and thank you to the Hamilton County Highway Department for shelving Sabattis and North Point Road this season. Thank you to Long Lake Highway Dept for cutting the banks on all our rideable roads in Raquette Lake and Long Lake. Thanks to the Inlet Barnstormers for their work on our connecting trails in Raquette Lake. Thank you to BRASS for their grooming the tracks for us. And a huge shout out to Bootie in Newcomb for coming to the rescue this year when one of our groomers was down for a week. We know we have more work to do and we are striving to make time to get out this summer and cut back brush on Sabattis We know that was tough this season! And we have to take a closer look at the Long Lake side of the Newcomb Trail and we’ll always work on developing more signage to help our travelers come in and out of town and get to where they need to go. Thanks for riding in Long Lake & Raquette Lake! And Join the Moonlighters Snowmobile Club and support our year-round programing and trail system! 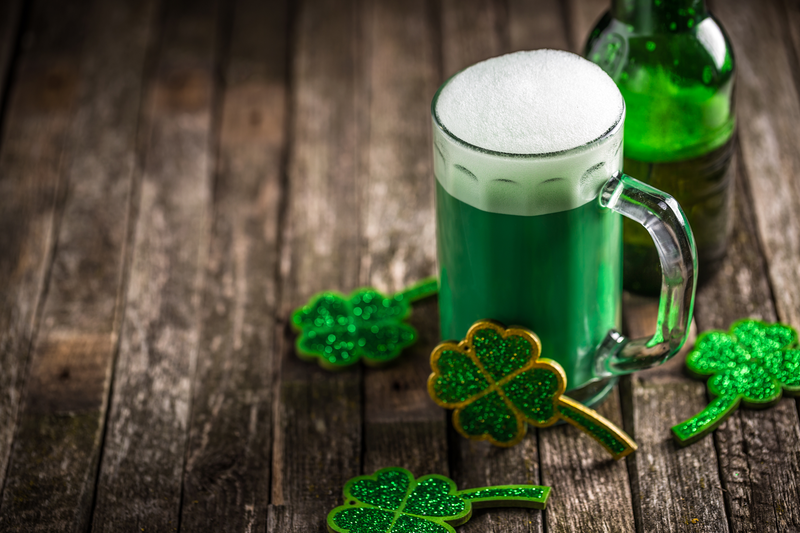 Lodging available at The Adirondack Hotel & The Long View Lodge & The Raquette Lake Hotel & Tap Room. Tupper Trail/C7B – BEST BET Grange Park Road is a private road. Please go SLOW on that section connecting to C7B to Tupper and Kickerville Road. Forked Lake Road – Fair. Sabattis Road. C7B Shelf is gone. C7- Railroad Tracks Beaver River to Sabattis – sun has been out. North Point Road – Spring Conditions prevail. Stay on the ROAD all the way to the S80 -POWER LINE TRAIL. 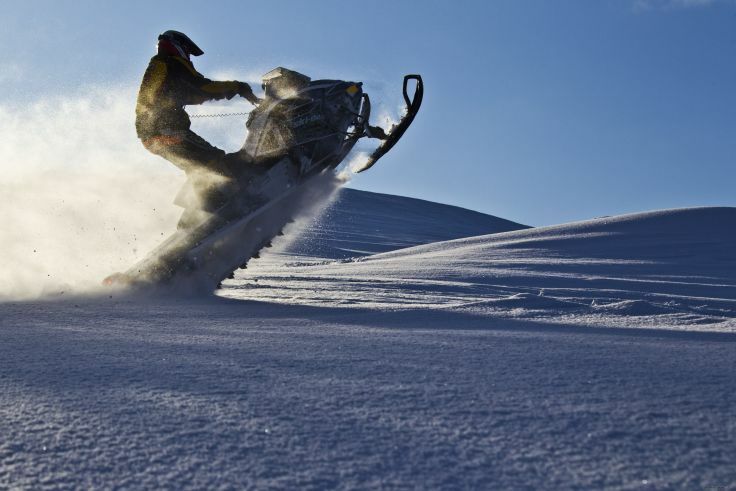 Do not use Steamboat Road – this is not a designated snowmobile trail. Powerline Trail S80 – Fair. Powerline state section of trail linking Emerson Road to Sandpit – rough and narrow. Use caution. Newcomb Trail C7B Use this trail to get back and forth to Newcomb and to ultimately connect to Indian Lake. Logging near 6 Mile Road on C7B Newcomb Trail. 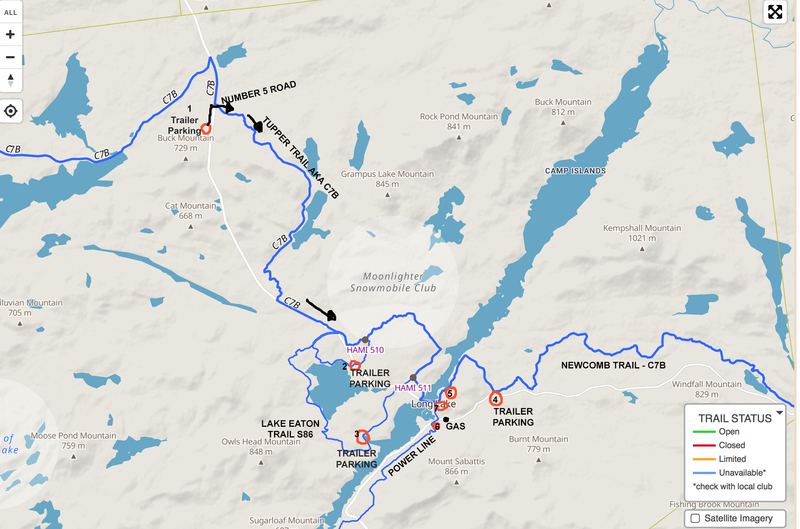 Lake Eaton Loop to Tupper Trail -Last day to ride is Sunday. Not sure how it will be, but… could be considered a “best bet” out of anything we have available. Water hole is growing near intersection with Owls Head Trail and Lake Eaton backside snowmobile trail loop. Rain showers early mixing with snow showers late. Low 31F. Winds SSW at 5 to 10 mph. Chance of precip 80%. GAS – Snowmobile Gas will be available at Raquette Lake Supply Company at the STORE PUMPS when the trails are passable — which means… end of season has arrived. Thank you for being open this season! Raquette Lake Tap Room Open daily 7am daily except Sunday’s, open at Noon. There are several sections where you have to hop on and hop off on the stretch before and after Bear Pond. There is logging 1 mile from Sabattis/Train Tracks. Road is snow covered and rideable. The shelf is good from just beyond Bear Pond heading into Long Lake/Route 30 all along the rest of the road ,but there are many areas that need brushing with low hanging branches. Feel free to reach out to the NYS DEC Region 5 & 6 and ask when they will open up the trail to From Long Lake to Horseshoe Lake to Tupper along already established logging roads to get riders OFF Sabattis Road. See map for numbered parking lots. 1. Park on NYS Route 30 Snowmobile Parking Lot. Take NYS Route 30 road side – it’s 4-6 feet wide ice and snow on the road sides. Cross NYS Route 30 into Number 5 Road and travel along GREAT snowmobile / freshly flat groomed trails on Friday March 23. 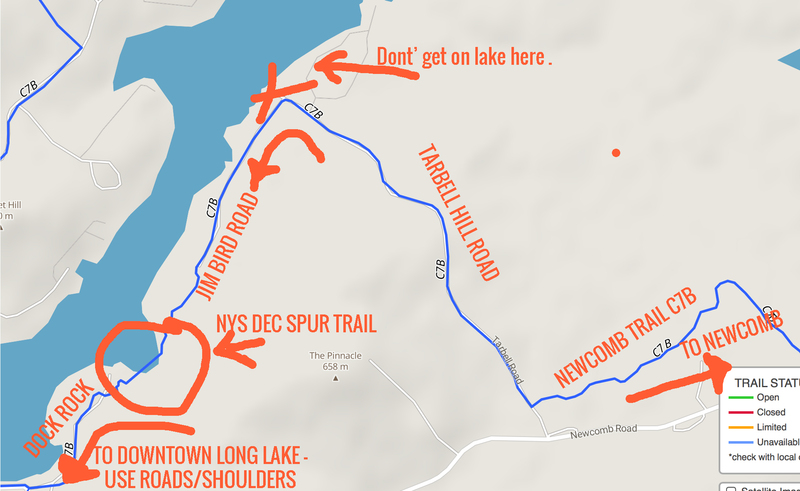 Take this trail to Lake Eaton Campsite- take the campsite loop and head back out to get your car, or ride around the backside of Lake Eaton to Owls Head. See map for exact details. 2. Park your trailer at Lake Eaton Campsite Entrance or in the inside of Lake Eaton (near the boat launch) to hop on a freshly groomed interior wooded trail around Lake Eaton. You can also hop onto the C7B Tupper Trail heading north to the Number 5 Road or loop in towards Kickerville. Please use caution on road sides. We’ve left some snow – but it’s heavily traveled and can be hit or miss on the road sides. Interior wooded trails are holding up. 3. Park at the Owls Head Trail Head Parking Lot off of Endion Road in Long Lake NY. Follow shoulder / road until you hang a right to access S86 – the backside of Lake Eaton Trail. Take the backside all the way through to the Lake Eaton Campground, loop around. 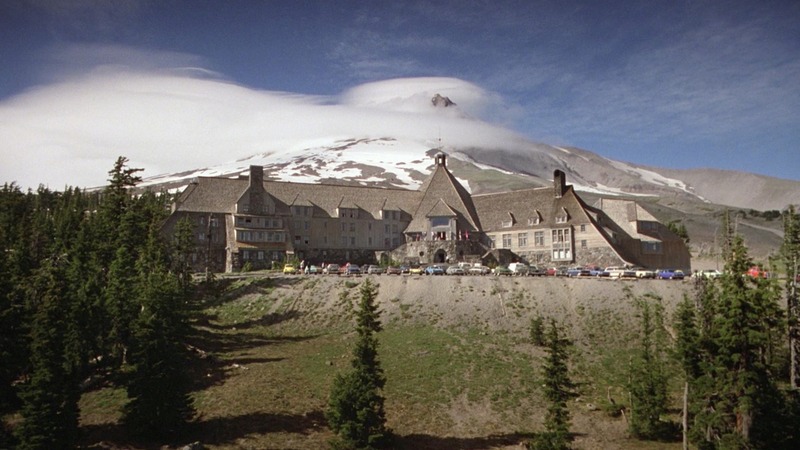 There are two options that take you through the campground and get you turned around and back on the loop to get you back to your car. 4. Park at the NYS Northville Placid Trail Head on NYS Route 28N and Tarbell Hill Road. Access C7B Newcomb Trail here. Groomed and flat, great condition until you get to Pickwacket Pond. But still a great ride. 5. Park at the NYS Boat Launch off of Dock Road in Long Lake to access spur trail to connect to Jim Bird Road/Tarbell Hill Road and the Newcomb Trail. Please note: Trail is excellent until you hit Pickwacket Pond near the County Line – then expect spring conditions. But just turn around and come back to Long Lake. 6. Park at the bottom lot of Mt. Sabattis and head up past the Ice Skating Rink to access S80 – The Power Line Trail. This trail is flat and has seen very little traffic this week, so it’s a best bet. Snap a picture of Long Lake from the Mt. Sabattis Pavilion. You’ll have to turn around and head back into town before hitting North Point Road. 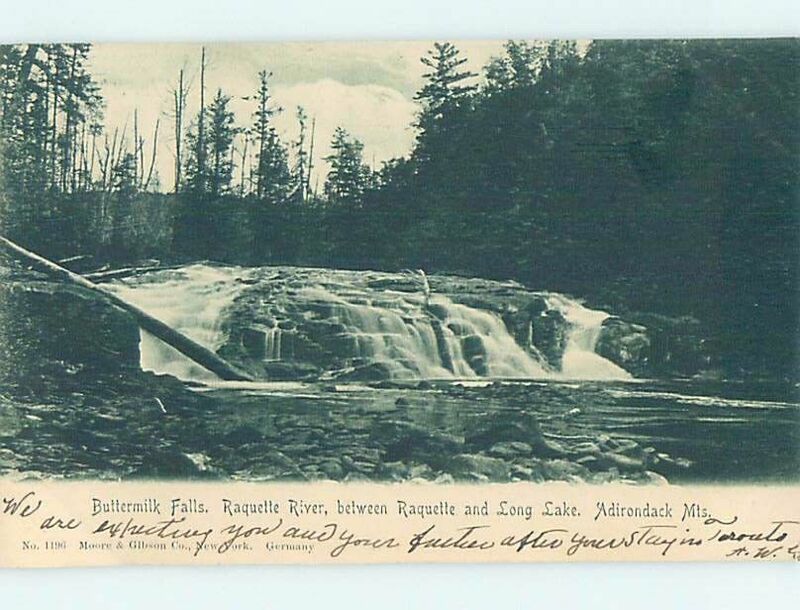 You can ride shoulders on North Point Road and visit Buttermilk Falls. 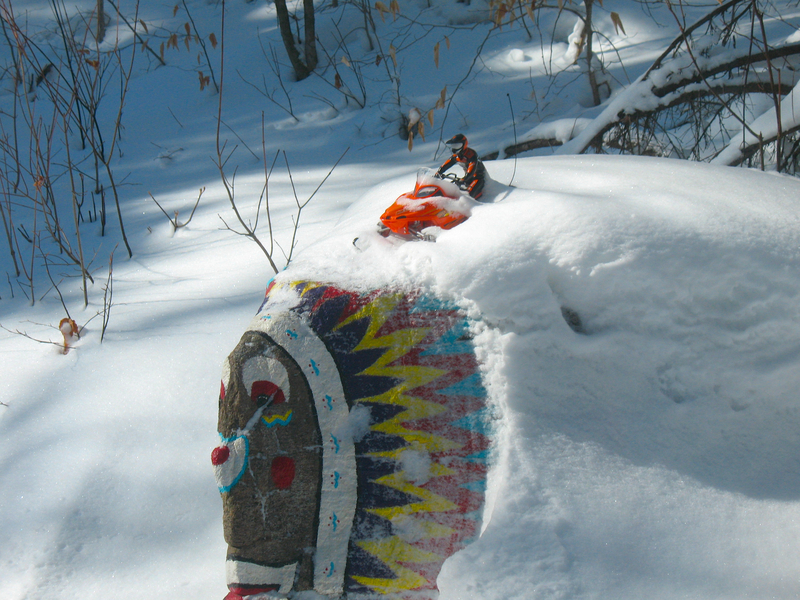 Leave your sleds in the parking area as the small path to the falls – is just that, a foot path. Short hike to catch in the beauty of this scenic treasure. 7. Municipal lot in Long Lake. Free parking at the site of the old Highway Garage on Main St. Long Lake. You can ride shoulders and sidewalks – but they are pretty bare at this point. But this can get you into the center of town. Stewart’s Shops is the place for Gasoline, so expect some scratchy road riding to access gas. Groomers go out when temperatures and conditions warrant it. If you see an old report and you want an update contact 518.624.3077 9am – 4pm. Send mother nature’s snow machine up here. Lake Eaton Trail. S86 Short-loop. Tupper Trail C7B. Wooded log roads are good rides in the interior section of trails, from Grampus up to Number 5. Park trailers at lot just south of the the Northern Sabattis Road entrance – it’s posted with parking signs.Trailer and park at Kickerville Mobil to access Kickerville Road and Tupper Trail. 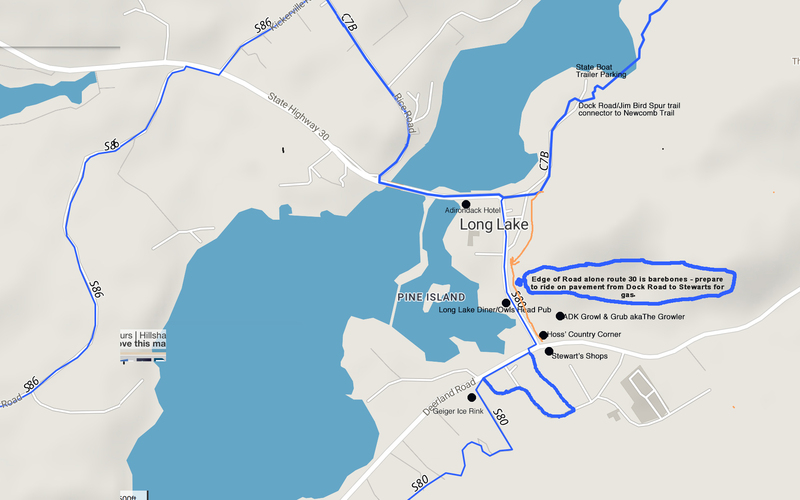 This trail spans along logging trails near Grampus Lake, along NYS route 30 and connects with the Lake Eaton Intersection or continues on to Grange Park/Kickerville Road linking up to the business district in Long Lake. Train Tracks to Sabattis. C7B. This trail connects south to Old Forge, Stillwater, Norridgewok and North to Tupper Lake. North is groomed by St. Lawrence Snowmobile Club and South Groomed by Beaver River Association. Sabattis Road. C7 Use this trail to connect to train track corridor or link up with C7B to link up to Long Lake along Route 30 to Kickerville Road. Banks routinely cut before weekends by Hamilton County Highway & Long Lake Highway Crews. Kickerville Road. C7B. Shoulders cut by LL Highway. Many driveways on this span of trail. Use caution. Grange Park to Kickerville Road. C7B. Road trails are the best ride. Continuation of the “Tupper Trail” from Lake Eaton and Endion road. Follow shoulders and speed limits. Lake Eaton backside loop. S86. Loop around Lake Eaton and link up to route 30, North to Tupper Trail/Sabattis. Access from Endion Road or NYS Route 30. This is a also a x-c ski trail. Use caution. New bridge on the backside of Lake Eaton. Jim Bird Connector Trail. Connects Jim Bird Road to Olivet Road via C7B. MUST USE THIS TRAIL TO ACCESS TOWN. off of the Tarbell Hill Road and the Newcomb Trail.. This is a windy trail along the edge of the State Boat Launch off of Olivet Road connecting to Jim Bird Road eventually to the Newcomb Trail. Use caution and go slow. Not a long connector, but necessary to connect from downtown Long Lake to Newcomb trail. Speed limit 20 mph. Connect to town on this short section of trail. Moose River Plains 7th Lake Mt Connector It connects to Moose River Plains. It is a narrow trail, follow posted speeds. Use caution. Stumps hidden under fresh snow pack. 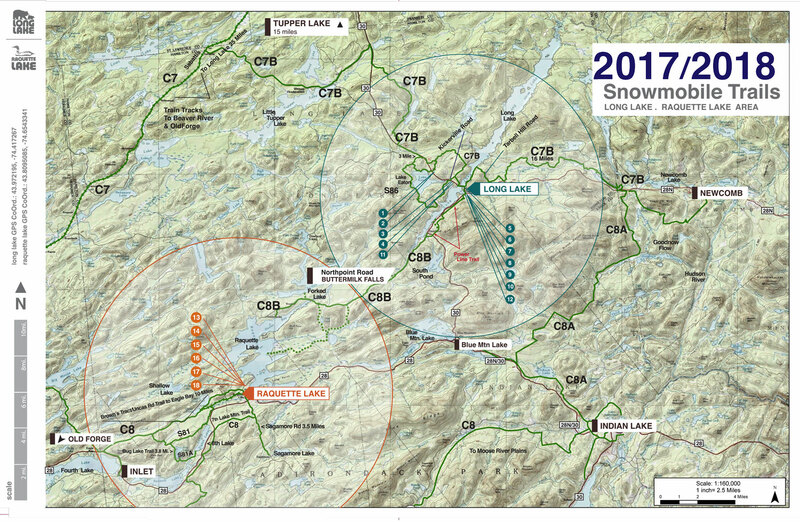 The Town of Long Lake publishes a snowmobile trail map available by calling 518.624.3077 or request a map thru snail mail. Don’t forget to give us your address. N LONG LAKE – PARK YOUR TRAILERS – At Lake Eaton Campground, Base of Mt. Sabattis across from the Corner Motel, Park at the Long Lake State Boat Launch on Olivet Road, Park on Route 30 YS Route 30 between Sabattis Circle, adjacent to the LL Town Beach, or the large Municipal Lot located between St. Henry’s Church and the Ball Field – do not park in Church parking lot, but the large lot adjacent to it. N Call 518.624.3077 for more information. Snowmobiling Adirondacks has never been so easy! Raquette Lake: Check at the Tap Room for suggestions. Look for state pull off areas and areas in the Village Green near the library. Join the Moonlighter’s Snowmobile Club supporting both Long Lake, NY and Raquette Lake events and trails. Register to become a Long Lake Moonlighter! Save on registration fees, fees help fund the trails in Long Lake and Hamilton County if you register through NYSSA! Save money and help out with trail maintenance! Visit Their Website: Register On-Line to be a Moonlighter! New York State Snowmobile trails. Long Lake zip code is 12847. 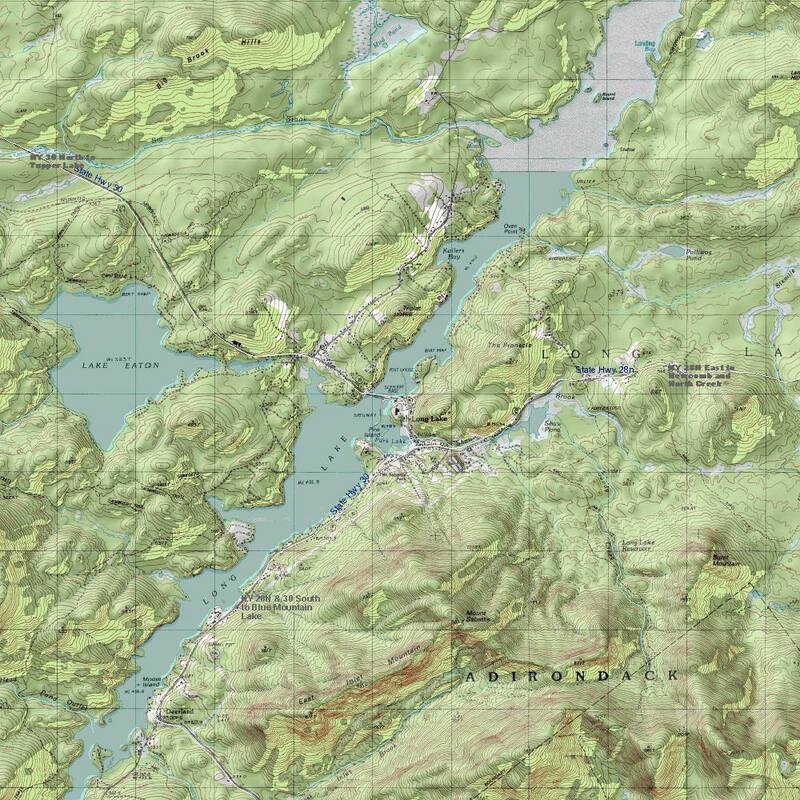 Raquette Lake is 13436. 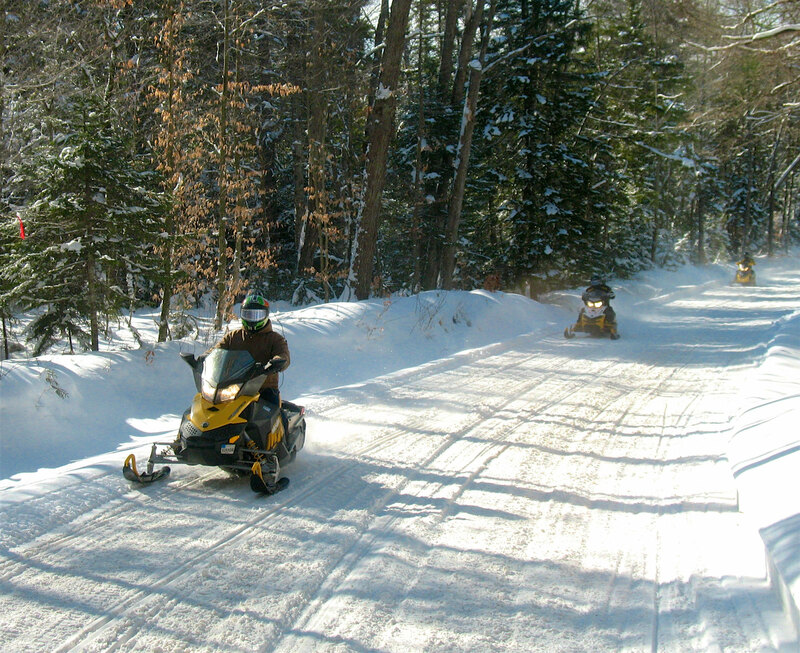 If you ride in Old Forge & Inlet you need to purchase an additional snowmobile trail permit. Long Lake and Raquette Lake do not require additional permits. You only have to be a registered sled in New York State. AT&T cell phone & Verizon Cell Phone service now available in Hamlet of Long Lake. It’s a great safety net while snowmobiling in the Adirondacks.